First Steps is an introduction to the integration of dance and music. Though designed to bring out the child's natural instinct for movement, concepts such as basic motor skills and coordination, listening, sharing, and spatial awareness are all addressed at this stage. This class meets once per week. The Kinderdance curriculum continues with the Pre-Primary class. The focus here is to continue and yet refine the work done in the First Steps program, as well as advancing the students knowledge of classical ballet. The beginning elements of ballet vocabulary, class structure and classical form, are nurtured here. Additionally, musicality, coordination, and ballet class etiquette are essential parts of the class. 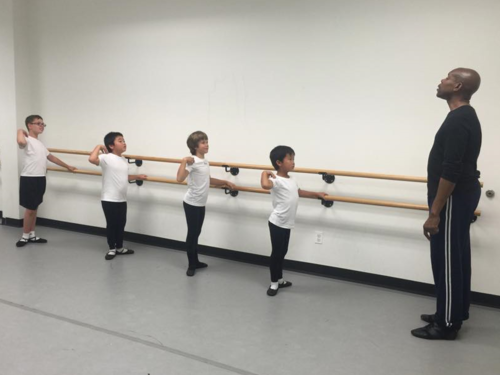 Pre-Ballet is the "gateway class" for entering into the graded level curriculum of the academy. All the material is geared towards developing the skills needed for Level I. Lessons focused on barre work, musicality, alignment and placement, and terminology all ensure, upon completion, the successful transition to Level One. Students of all ages begin in Level IA & IB, learning the basic ballet positions, the progression of a standard ballet barre, and learning the French vocabulary that defines all ballet steps. The student moves into beginning center work, away from the support of the ballet barre. When the student learns the ballet technique appropriate for the level and when the student's body has become strong enough to accomplish the movements taught, at the discretion of the faculty and Artistic Director the student moves to the next level where more intricate steps are introduced. For all ages, advancement is based on ability, not age. 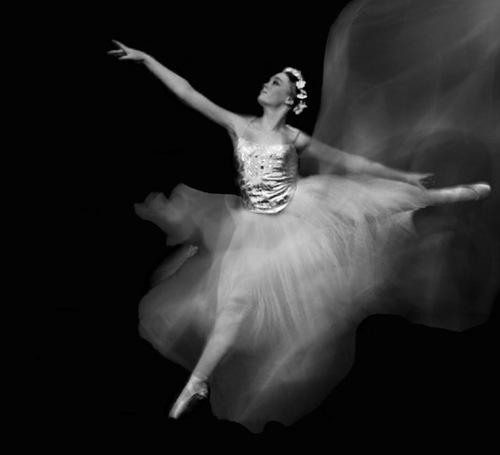 Levels II and III reinforce the rigors and demands of classical ballet technique. These levels thoroughly instill and affirm ballet vocabulary and technique. In addition, students learn focus, discipline, class etiquette, and develop skills to fully engage their musicality. Once students have advanced to Level II, the study of jazz dance is added to their curriculum to begin their study of stage performance. Levels IV and V are considered intermediate and advanced-beginner levels, respectively. They expand upon the basics taught in the lower levels to create a strong understanding of classical ballet technique. Upon graduation from these levels, students will have mastered a thorough knowledge of classical ballet vocabulary and proper technique. Students also develop valuable life skills such as self-discipline, motivation, creativity, increased critical thinking, confidence, and self-esteem. Level VI is currently the most advanced level in the school. Students focus on perfecting technique, building physical strength, and developing artistry. Their training in Horton-method modern dance and contemporary idioms continues, as well as variations, and special workshops in pas de deux, music, and character dance. This program is designed for dedicated, hardworking, disciplined individuals. to train every day in preparation for a professional career. The dancers selected for this program audition and take classes separately and with the Level VI students. Additionally, the PTP students appear in productions with the professional company. Interested in becoming a part of Eglevsky Ballet? Whether you have questions about our classes, programs, or performances please feel free to contact us here. Eglevsky Ballet offers a free ballet program for boys ages 6-10. These classes are taught by a male faculty member and focus on the art in an environment conducive to keeping the attention of young boys. The athleticism of the art as well as proper technique and discipline are a part of the curriculum. Once basics are learned, the students are mainstreamed into regular classes. Boys at all levels must wear white T-shirts, black tights, white ankle socks and black or white ballet slippers. Beginner boys are permitted to wear black bike shorts in place of tights. Tuition based on number of classes per week. movement. EB Dance! instructs third through fifth-graders in dance, music, and choreography. It also uses movement as a tool to instill discipline, commitment, teamwork, and self-confidence in youth. The “EB” in EB Dance! clearly stands for Eglevsky Ballet. However, it also stands for EVERY BODY as to encourage every able-bodied child to dance and experience this artform to the maximum! Students who successfully complete this program, will be offered the opportunity to be mainstreamed into the academy at Eglevsky Ballet to further their training. Additionally, they will meet dancers from the ballet world, stage, screen, and concert stages to gain career advice and inspiration from these successful artists.